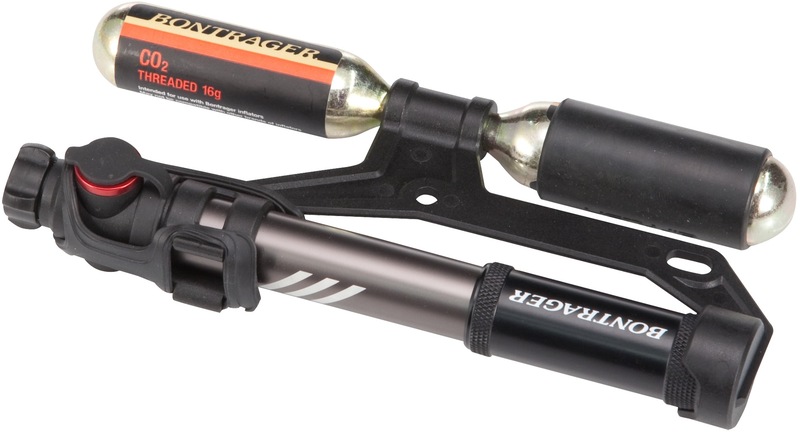 2-in-1 design combines CO₂ inflater and mini pump. The ultra-compact size easily fits in a jersey pocket or seat pack. The regulator provides safe, controlled operation. Includes a reusable cartridge insulator to protect hands. A pump inflates tyres if you're out of CO₂. Super light at 68 g (2.4 oz). Includes two 16 g cartridges and a mounting bracket.